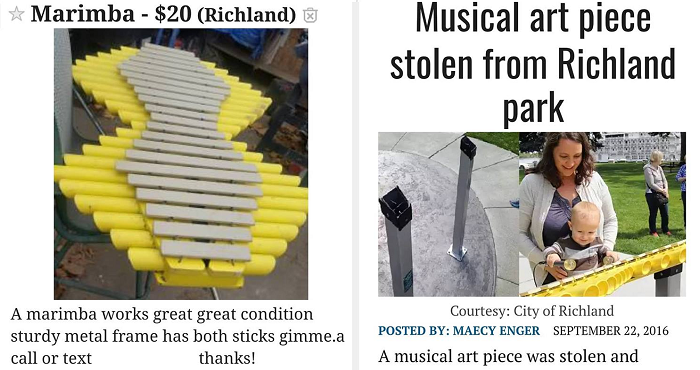 One year ago, a colorful instrument was stolen from a local park, and no one knew anything about it. The Marimba was worth over $5,000, and the thieves had vandalized other portions of the park, but the police were stumped. 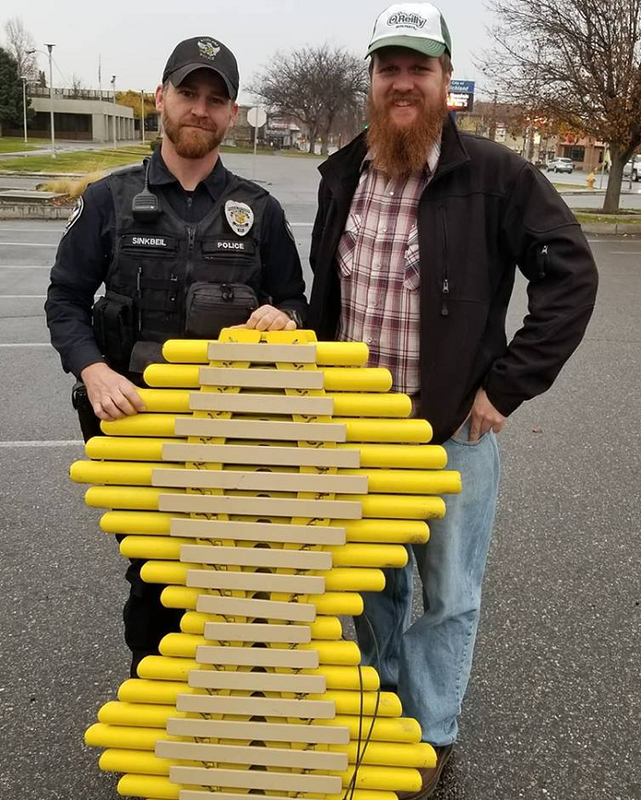 Then one random day in October, the art commissioner for the city was browsing Craigslist when he scrolled right past a picture of the notorious yellow instrument! Someone was trying to sell it for only $20! He jumped into action and bought the instrument before anyone else could. He knew its value not only to the city, but to the people who had enjoyed it at the park. He turned the instrument over the police department so that they could try and find out what had happened to it in the first place. Until they had answers, he would need to keep his story quiet. Unfortunately, the police hit a dead end. They couldn’t get the answers that they needed in order to pursue the real culprits. After months of investigating, they planned to return the instrument to its rightful place at the park! Jason Watson was finally able to share his incredible story. Of all the places, and of all the things, he was shocked and honored to have been the one to return it to its rightful place! While they might not have found the vandals, at least the public can enjoy the instrument again!